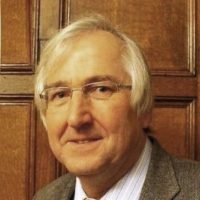 Michael is a Chartered Civil Engineer who for the last 30 years has practised from his offices in Llandaff. The main area of work is as a Structural Engineering Consultant working alongside Architects and Developers throughout South Wales. Over the 30 years he has employed numerous members of staff (up to 15 at one time) and managed the family building business. His special interest is the renovation and refurbishment of listed and ecclesiastical buildings. His family has worked in Llandaff for some 170 years as stonemasons and general builders and his great-grandfather and grandfather had close working relationships with the Insole family in the late-Victorian years and the early 20th century. Michael is a Director of a South Wales commercial property company and also manages the family property interests. Michael is Chair of Tennis Wales Ltd, the national governing body for tennis within Wales. He has also represented Wales on the Lawn Tennis Association Council and is a member of the Four Nations international tennis committee. He has been Chair and President of Radyr Lawn Tennis Club. He is also involved in various voluntary and social groups in Radyr where he lives with his wife. Their five children and grandchildren live locally.